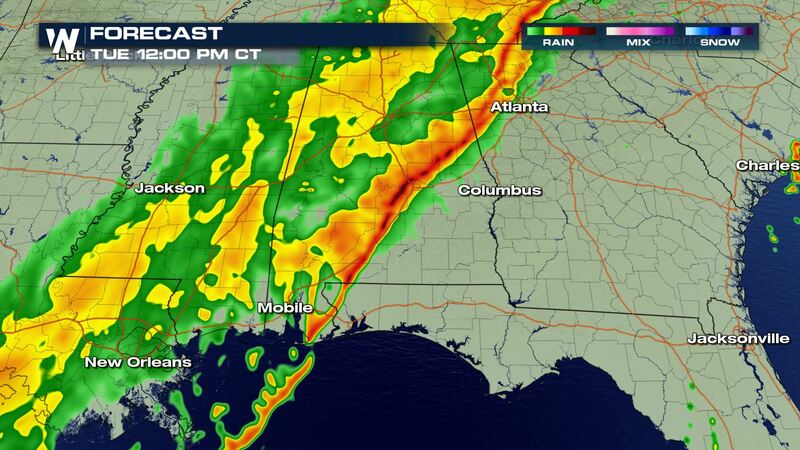 A strong cold front sweeping across the Eastern U.S. will bring a chance for strong showers and storms to areas of Mississippi, Alabama and Georgia. Here is the very latest. 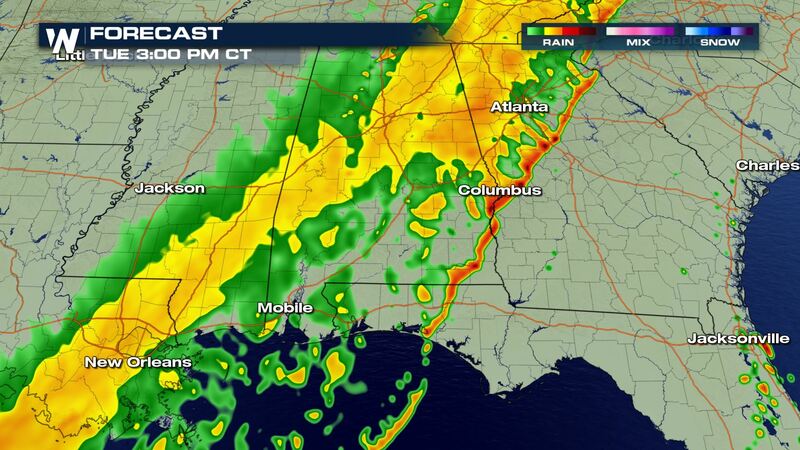 Thunderstorms are in the forecast over the entire Southeast. 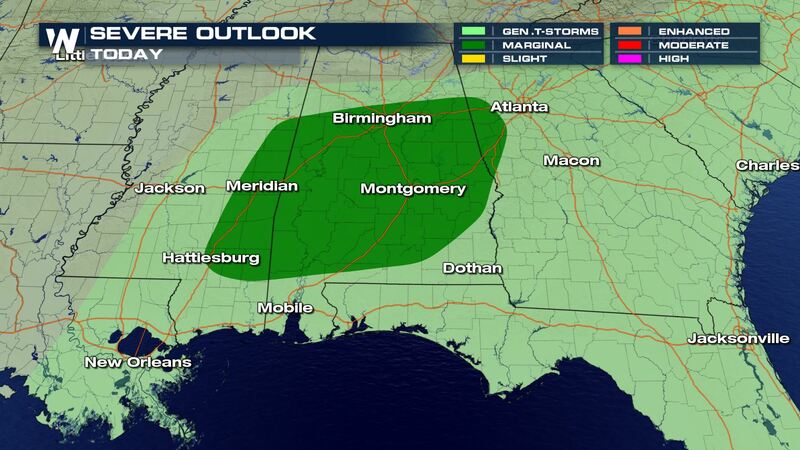 Cities like Hattiesburg and Montgomery could see some stronger storms during the late morning and early afternoon. The primary severe risk will be damaging winds, but an isolated tornado can’t be ruled out. 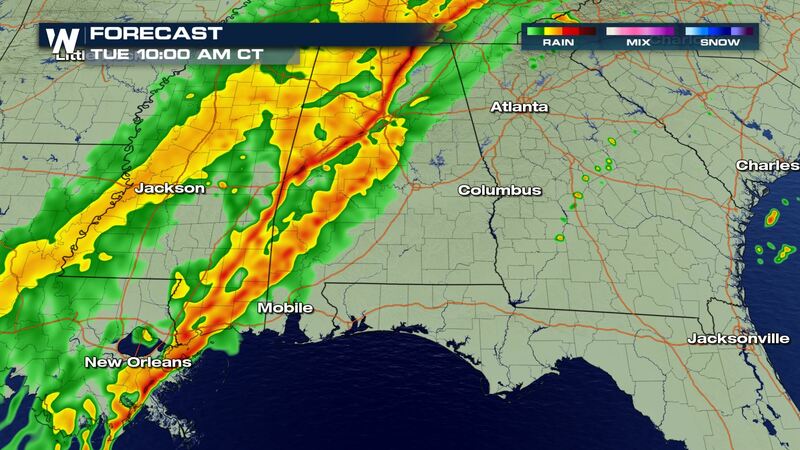 We had some tornado warnings Tuesday morning in Mississippi. Here is a look at the latest timing for today’s storms. This will a morning and afternoon event with some lingering heavy rain into the evening hours. 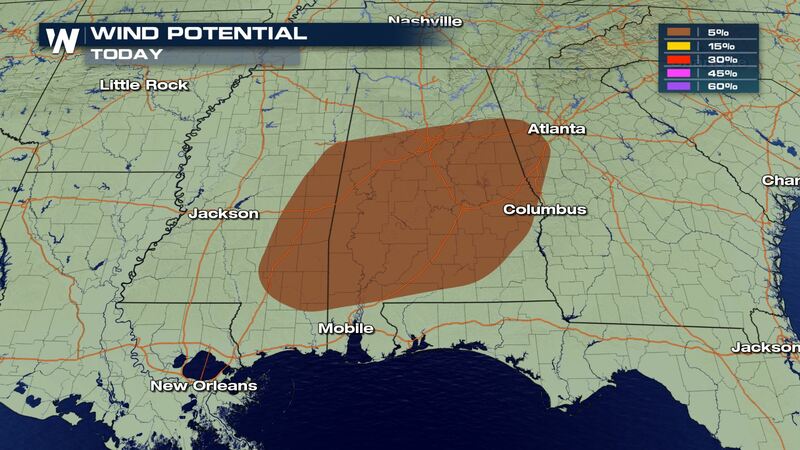 We would not be surprised if parts of the Southeast coast see some strong storms to start your Wednesday. More weather updates on the way on-air and online!